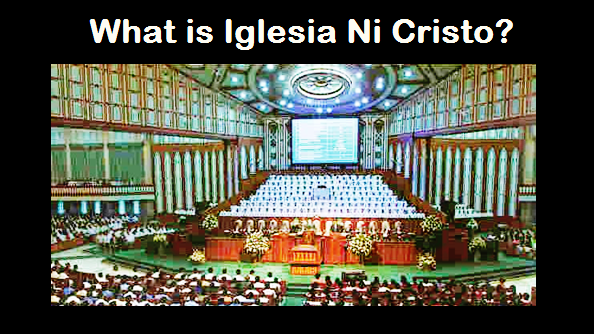 THE IGLESIA NI CRISTO: Can We Be Saved By Faith Alone? FAITH IS TRULY important, and without it one cannot attain salvation. “You see then that a MAN IS JUSTIFIED BY WORKS, AND NOT BY FAITH ONLY. “What does it profit, my brethren, if someone says he has faith but does not have works? Can faith save him? 15If a brother or sister is naked and destitute of daily food, and one of you says to them, "Depart in peace, be warmed and filled," but you do not give them the things which are needed for the body, what does it profit? Thus also faith by itself, if it does not have works, is dead. But someone will say, "You have faith, and I have works." Show me your faith without your works, and I will show you my faith by my works. The “works” referred to by the Apostles are the one mentioned by the Lord Jesus Christ, “Not everyone who says to Me, 'Lord, Lord,' shall enter the kingdom of heaven, but HE WHO DOES THE WILL OF MY FATHER in heaven.” Thus, even a person believes in God and in Jesus, but he does not obey the will of the Father, Jesus explicitly said that he shall not enter the Kingdom of Heaven. Therefore, it is not enough to believe in God and Christ Jesus in order to be saved. Faith is important for one cannot be caved without it, but faith is not enough. We must also follow the commandments of God written in the Holy Scriptures or the Bible in order to enter the Kingdom of Heaven or to be saved. PLEASE LEARN MORE THE TEACHINGS WRITTEN IN THE BIBLE THAT WILL LEAD US TO SALVATION.